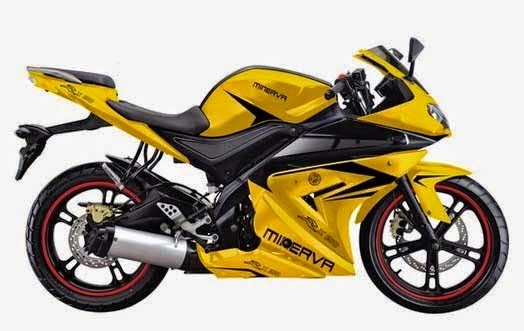 Minerva RX 150 Specifications - Minerva RX 150 is a sports bike low entry which comes with an aggressive design and sporty are juxtaposed with engine capacity of 149.8cc single cylinder, liquid-cooled, 4 stroke, SOHC, 2-valve, with carburetor fuel intake system.From the engine, Minerva RX 150 is capable of spewing power up to 14.8 HP at 10,000 rpm and a torque of 11.1 Nm at 8,500 rpm. The engine paired with a 5-speed transmission. Minerva RX 150 comes with dimensions of length 1.960 mm, width 730 mm and height of 1,060 mm. Wheel axis distance reach 1.340mm with the lowest distance to the ground 140mm. To weighs 139 kg and fuel tank capacity 14.2 liters. For sectors legs, Minerva RX 150 is equipped with front suspension telescopic and rear suspension Linked Type Monocross. For front tires of motor sport is equipped with tires measuring 110 / 70-17 and rear tire 130/70-R17. 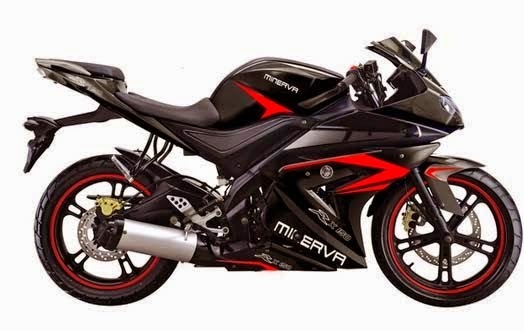 Braking System, Motor Sport Minerva RX 150 is equipped with a single disc brake Hydraulic for front and rear wheels. 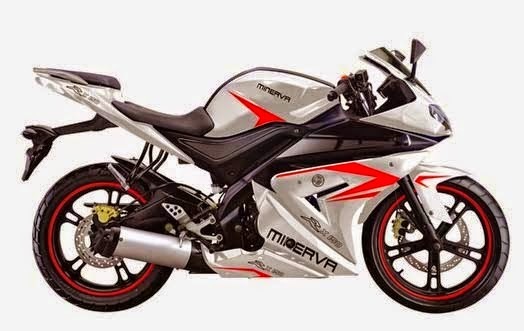 Thus a review of Minerva RX 150, all information regarding the specifications or price summarized from the official site Minerva Indonesia. 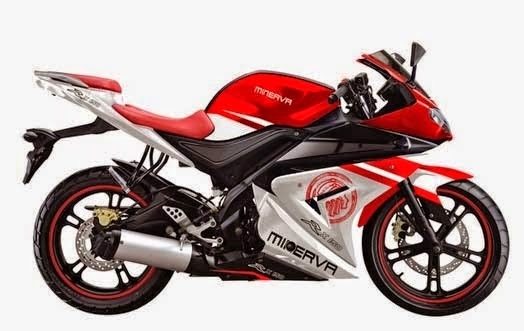 Hope can be a reference for you to know more details about Complete Specifications Motor Sport Minerva RX 150 Recent 2015. May be useful.